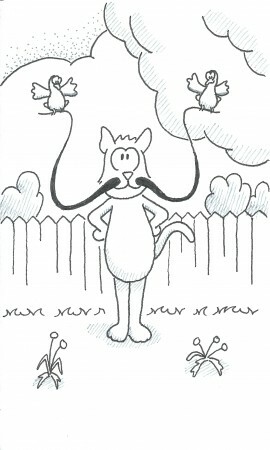 Reason one for growing our your whiskers: attracting birds. My cat’s name is Maxwell, but my cat is female. I got her from some friends when she was still a kitten and elected to name her after a Beatle’s song, just as most of the other cats in the house had been named. Only after the name had stuck did we realize that Maxwell is a girl. It fits her, though.